Follow My Dream: It's All Coming Together! 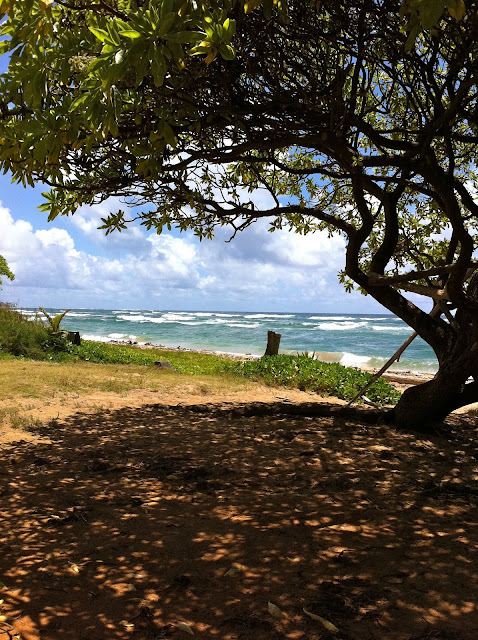 One of my favorite things to do is take a 90 minute walk along the beach at Lydgate park and have lunch at a picnic table under this tree while writing. I got to do that twice this week! “I can’t believe it! It’s all coming together!” My friend tells me over the phone. I laugh and tell her I have been telling Dan the same thing all week. I can feel it. I don’t know what “it” is, but I can feel it coming. She is my classmate from the organic farming course I took when I first got here, and she has become the leader in garden to school programs for the state of Hawaii. The lilikoi are here! The is the result of research for an upcoming passion fruit article. 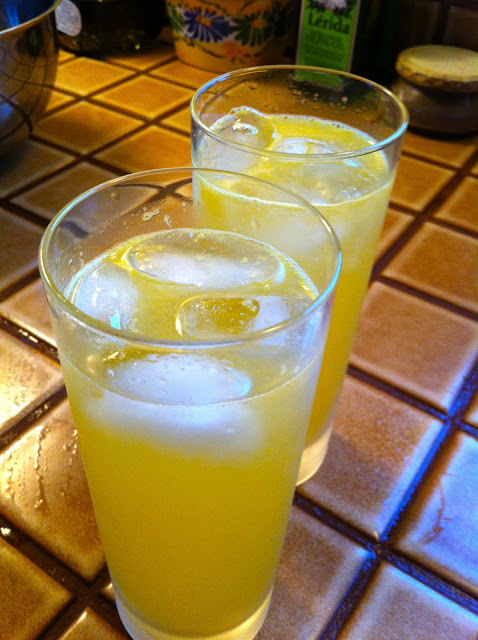 We called it Orange Passion Love Juice. It has fresh orange juice, lilikoi, vodka and perrier. Dan's concoction will be the featured recipe in the paper. She wants me to write a lot of things for her many projects, it seems like a perfect fit. So we are meeting for lunch on Friday to talk it out. My other friend is putting on a hula/luau show Saturday, and she’s joining us and dropping of the tickets. 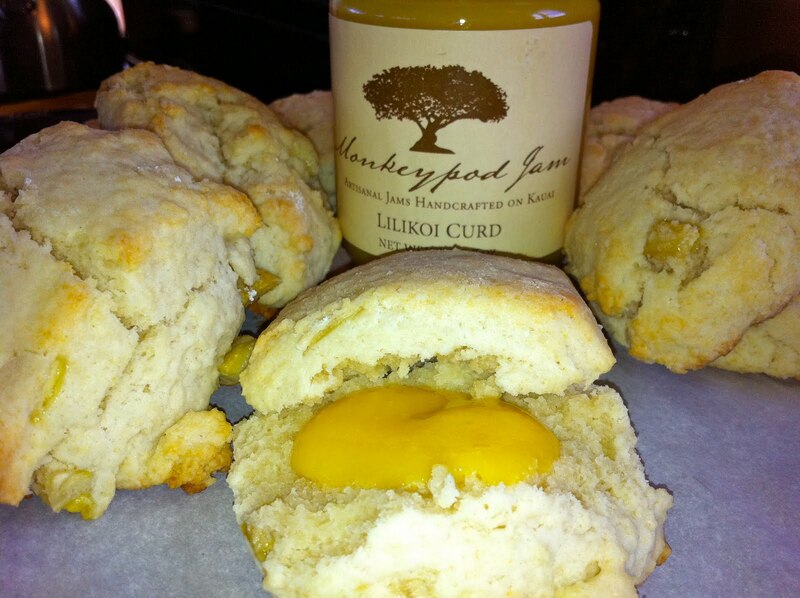 We just love the tangy, sweet flavor of lilikoi so we got some curd from Monkeypod Jam, our favorite jam maker. All week, I thought about how I was going to use it before deciding on the British way, over cream scones. Wednesday I got an email from a friend who is the former editor and writer for a now defunct local paper. She has recommended me for some freelance writing jobs for an international hotel chain. I promptly sent the editor my clips and am waiting to see what happens. I also got more positive feedback than ever for the article that ran this week on The Jailhouse Pub and Grill. So that was fun! 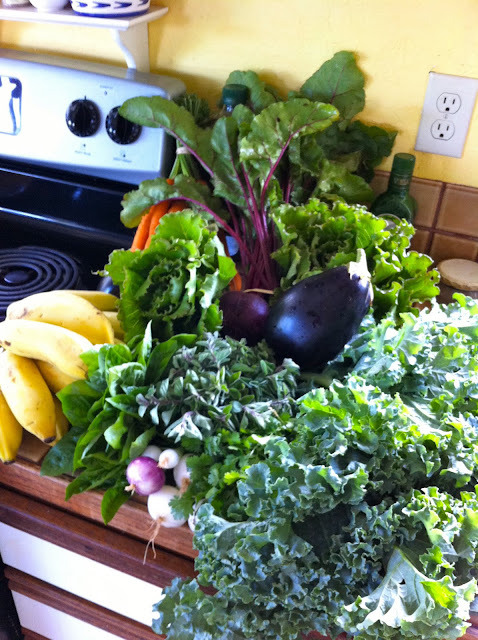 This week for 20 bucks I got bananas, carrots, beets, eggplant, lettuce, kale, basil, oregano, cilantro and spring onions from our farmer Levi! I used the bananas and eggs for this mornings breakfast: whole wheat banana, walnut and chocolate chip muffins. I have a friend who owns a gluten-free bakery and she is going to hire me to assist her on private cheffing gigs. I welcome this because she is a professionally trained chef who has cooked for folks like Michael Chrichton. 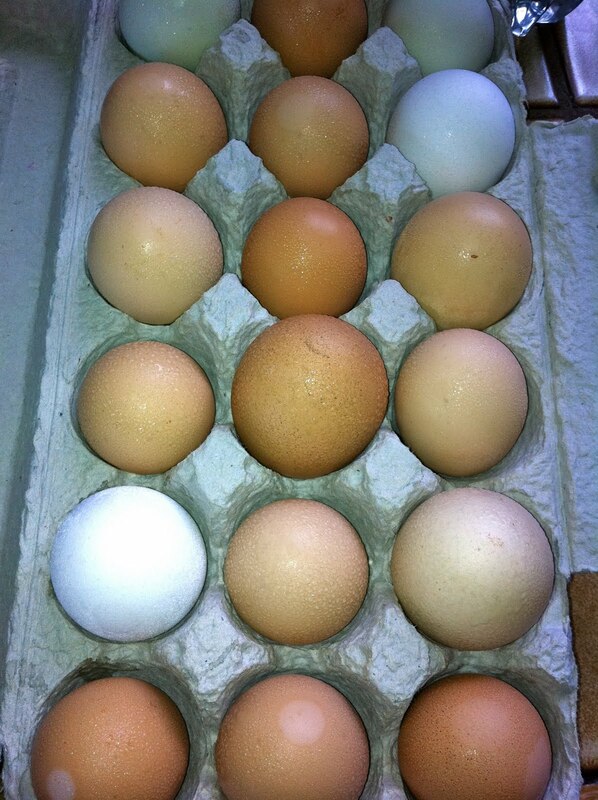 She texted me this morning and I asked if I wanted to help write her cookbook! 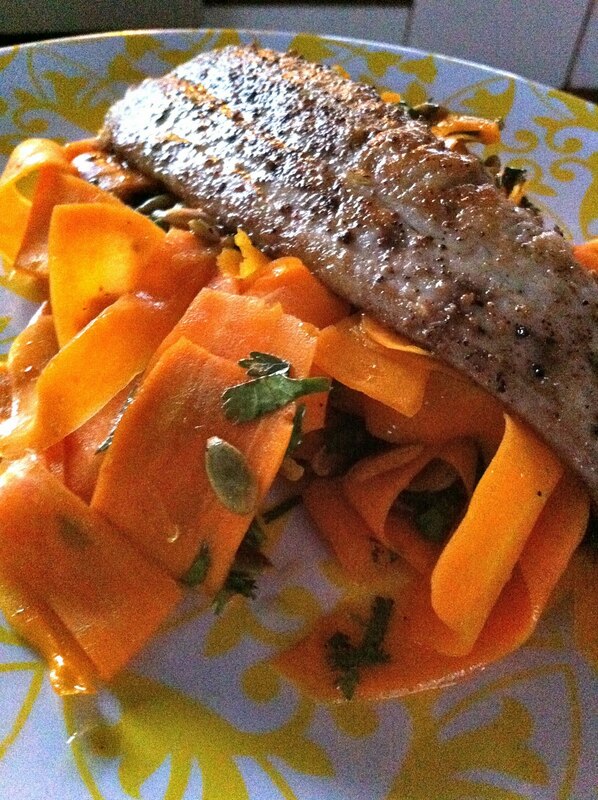 With the carrots I made a salad and served seared mahimahi over it, delish! Dan’s boss asked me if I wanted to write marketing and advertising flyers for ads for the photo tour company. Of course I said yes to all four projects, and three of them happened in one day, yesterday! We sampled 9 pies (!) 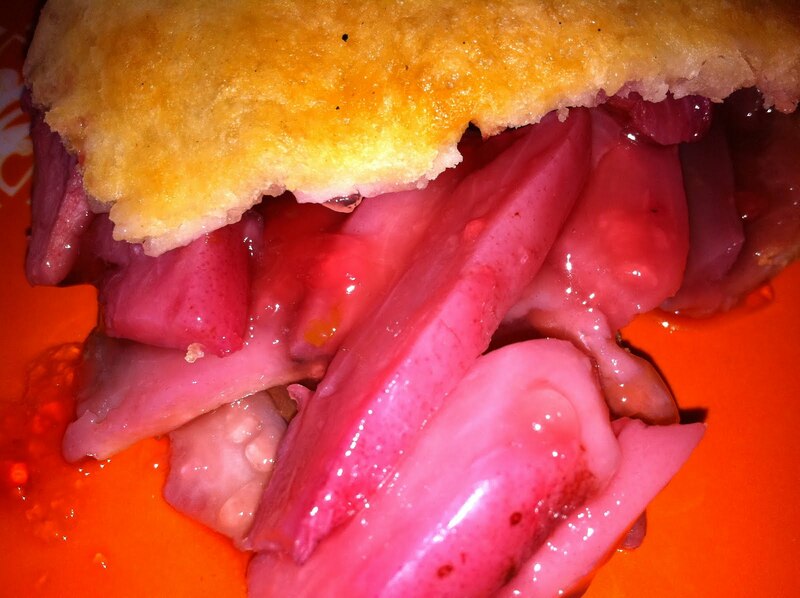 for an upcoming article on an adorable and young pie lady. This one is my favorite loaded with mountain apples. They have a delicate flavor and a sweet rose smell. She left the red skin on so it turned the white flesh a nice pink color. Meanwhile, Dan got his fifth five star review on Trip Advisor and sold his first print. The interview with the pie lady was across the island in Hanapepe town, so I had to drop Dan off at work after. When I picked him up, I had him pose by the print. Dan's print is at the top. Best of all, we have friends visiting from Colorado. Today is their first full day here and we are taking them to the Hanalei Farmers Market, Hanalei town and maybe the bay. We also have a Na Pali boat tour scheduled because, I don’t think you should come here and not get an intimate view of the Na Pali! Woohoo! It’s alllllll coming together! 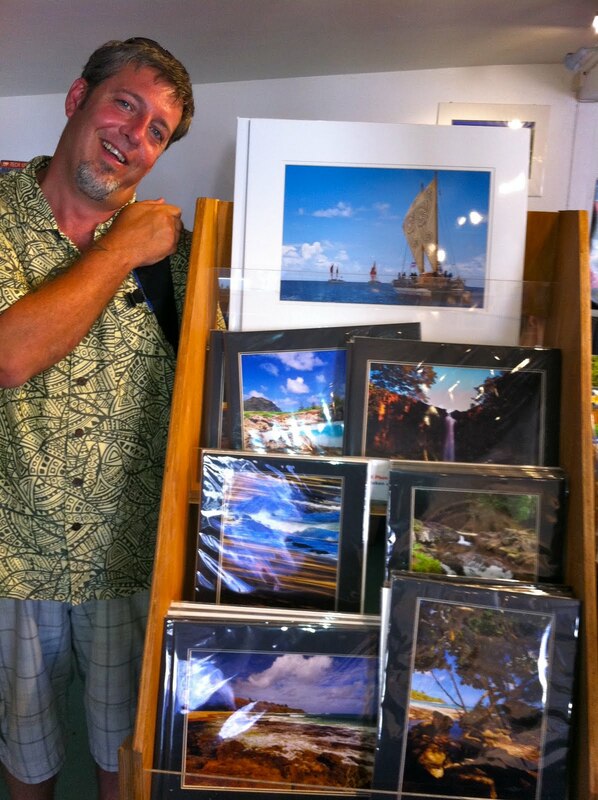 Dear Ms. Aloha~ There is literally too much goodness here; I can't make a focused comment. I can say: all the goodness couldn't happen to a nicer person... or a person with a nicer husband! mucahs alohas Debi! I have been thinking about you lately! Glad to see you're still around! What's a Hapa concert?